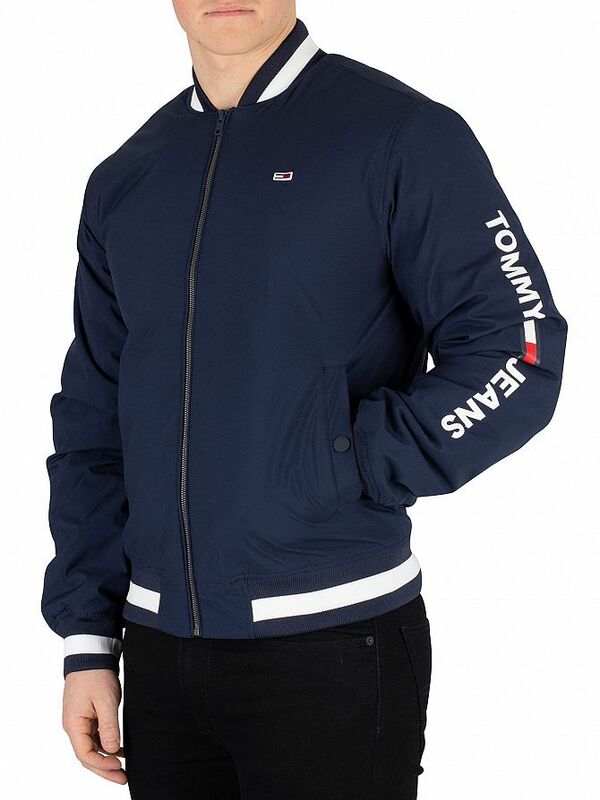 The Ribbed Bomber Jacket from Tommy Jeans comes with buttoned pockets and buttoned inside pocket, featuring an embroidered logo on chest. 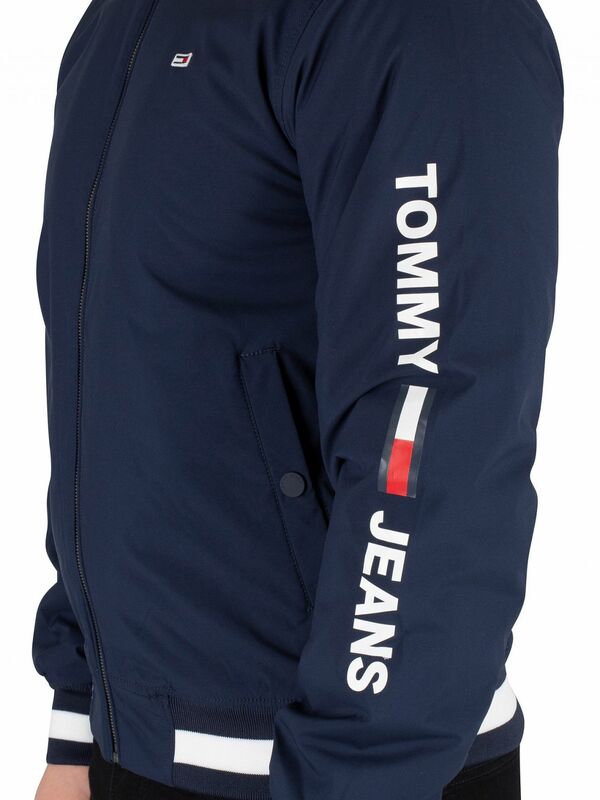 This jacket also sports printed branding on sleeve. 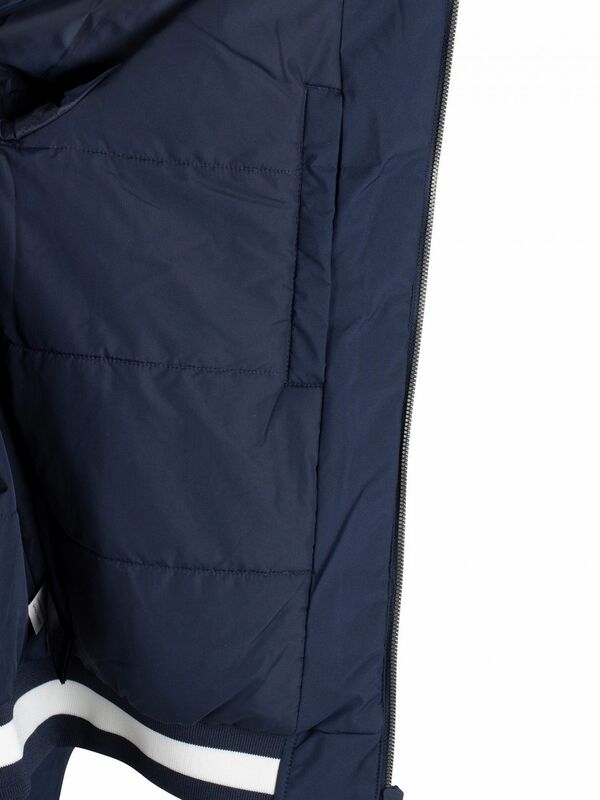 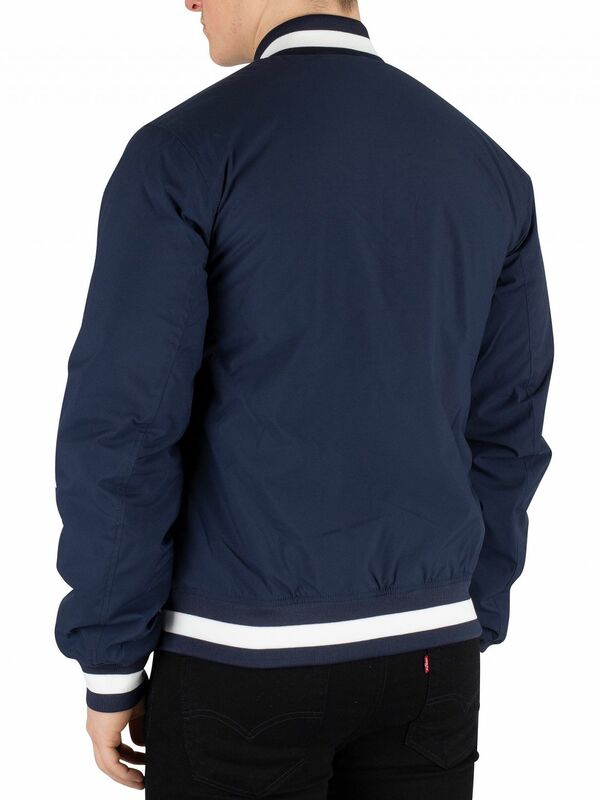 Coming in Black Iris Navy colour, this jacket sports a varsity neck and elasticated cuffs and hem. 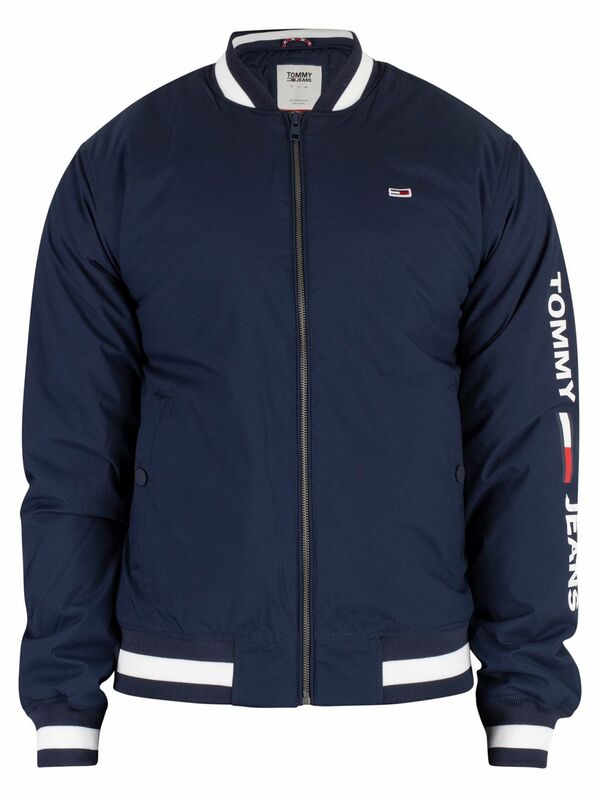 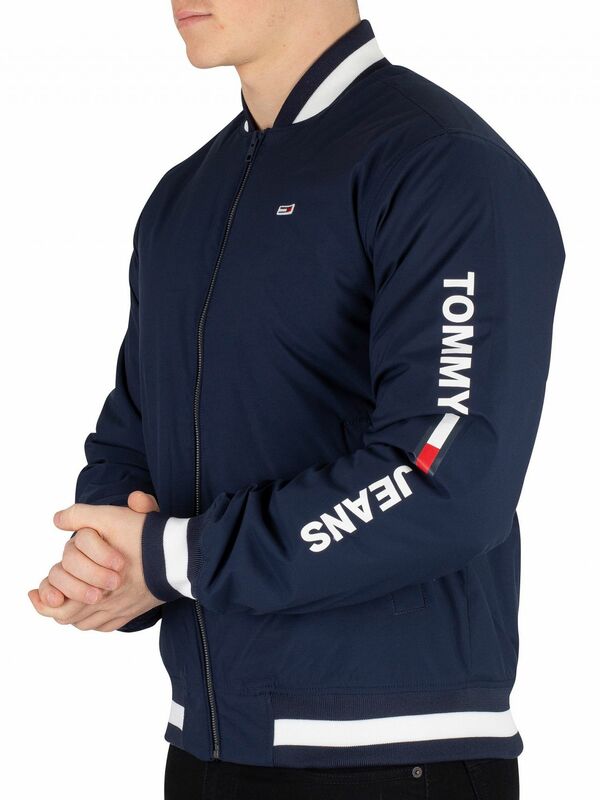 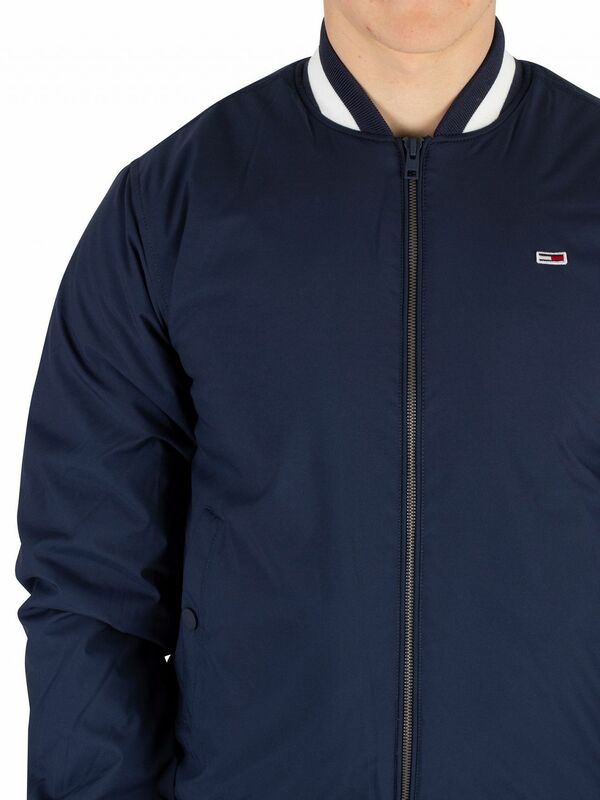 View similar Tommy Jeans or similar Bomber Jackets.